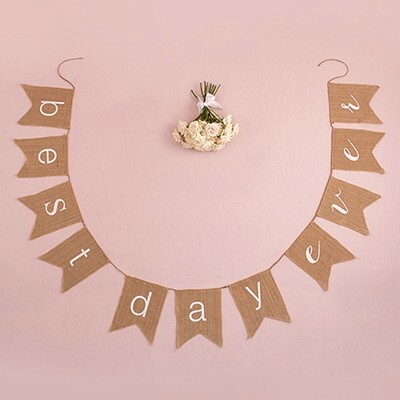 Dimensions: Banner: 9" x 77"; Each Pennant: 9" x 7"
Hang these charming "best day ever" banners along the front of your tabletops to add a little country chic to your reception. Made of natural burlap and white print with jute twine for hanging. Sold individually.